Theba pisana was introduced by humans to South Africa sometime before 1881. 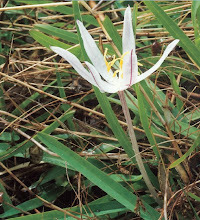 It comes from the Mediterranean area – hence its name "White Italian Snail" - and has also spread to Australia, California and western Europe, as well as parts so South America and Bermuda, the Azores and Madeira. This snail lives mostly in the winter- and all-year-round-rainfall regions of the western and southern Cape from the Orange River mouth to East London. 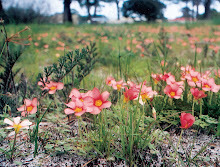 It seems to prefer to live near the coast, and is found in gardens, on road verges, in pastures, grainlands and vineyards, as well as in pristine coastal fynbos. 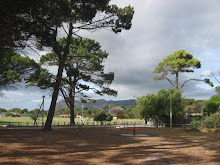 Yes – it is an agricultural and garden pest in the Cape where its population densities can be extremely high, but not enough is known about it to say exactly how pestiferous it is. The snails in the photos above are aestivating (sitting out the summer) on Meadowridge Common. They are well adapted to survive the hot dry summer as they can drop their body temperature to well below 44 °C during the hottest time of the day. The reason you see them in bushes is because the temperature on the ground in summer is frequently higher than the snail’s body temperature, so they climb upward and aestivate above the ground where temperatures are lower. The breeding season starts in late summer and autumn when mating occurs when their aestivation is broken after the onset of the first heavy rains of the season. 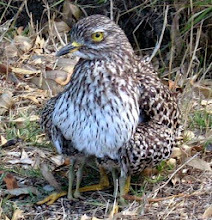 Egg-laying extends until late winter and spring. The bulk of the snails die after laying eggs, although not always – some have been known to live for 4 years. The eggs hatch in later winter and spring. 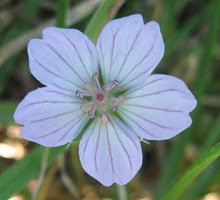 Aestivate Spend the summer in a state of torpor, a “summer sleep” rather like hibernating during the heat of summer. 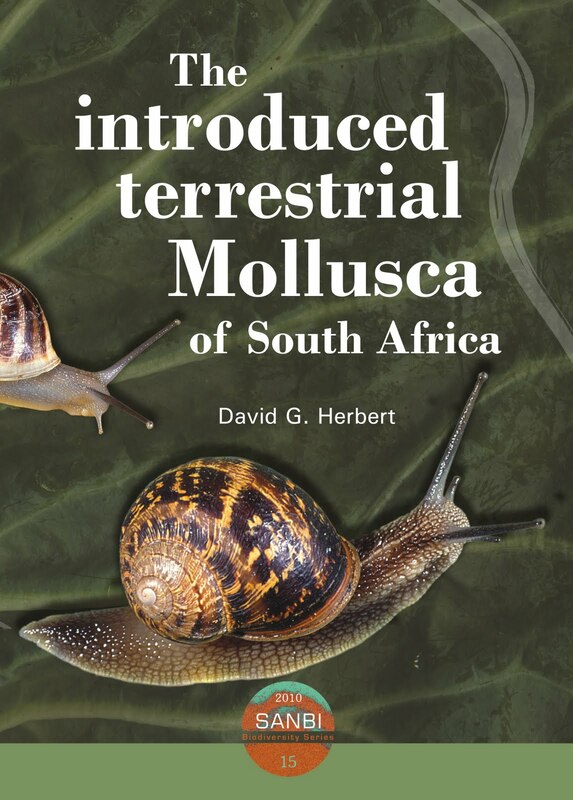 Most of the information here comes from the book by Dai Herbert, The introduced terrestrial Mollusca of South Africa. 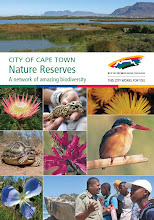 It is available from SANBI and the Kirstenbosch Bookshop.